February 11, 2019 -- If utilized correctly, certified imaging informatics professionals (CIIPs) can be tremendously valuable to imaging practices. In this new article series, I'll show how an organization can experience dramatically different outcomes based on whether it elected to engage the expertise of CIIPs. Presented in a format modeled after the Choose Your Own Adventure books I enjoyed when I was younger, each article in this series will demonstrate the value a CIIP can provide in a single area of imaging informatics. For those who are not familiar, a CIIP is a professional who has met a baseline level of competency in a range of knowledge bases related to imaging informatics, as defined by the American Board of Imaging Informatics (ABII). CIIPs play an integral role in ensuring data integrity within an imaging practice. Data integrity is one area imaging informatics professionals are tested on within the "Image Management" knowledge base of the CIIP exam. CIIPs understand the hierarchy of imaging data (patient, study, series, and object) and can make educated decisions on how to handle any data corrections that may be needed. Additionally, CIIPs implement proactive quality control policies and procedures that reduce the amount of manual data entry, decreasing the likelihood of human error. Let's read on as our faux imaging practice Adventure Health embarks on two very different paths: one with the guidance and support of CIIP resources, and the other without. While the practice in this story is fictitious, the scenarios it encounters are based on real-world experiences. Adventure Health is growing. It recently purchased a smaller imaging practice, and the CIIP is overseeing the migration of the legacy PACS data. As part of the migration, the CIIP spearheads a data cleansing initiative to clean up duplicate patient records and normalize the data to internal standards. Patient records from the legacy system are merged with matching records from the current system, allowing radiologists to easily view a complete record of all prior studies in the system for any given patient. Also, due to the data normalization efforts, the PACS can distinguish relevant priors and automatically display them next to current studies for comparison. The migration is nearing completion, and Adventure Health looks forward to future growth through acquisition. Luke Bideaux, founder of Vega Imaging Informatics. Adventure Health is also involving its CIIP in the design of the integration between its electronic health record (EHR) and PACS/reporting system. The design makes use of an enterprise master patient index (EMPI) to help unify patient records across the enterprise. In addition, work queues are developed to monitor for any fatal errors or warnings. The CIIP is involved in monitoring these work queues and provides guidance to the team of professionals responsible for ensuring that any errors are remediated properly. The CIIP utilizes clinical expertise, understanding of the designed behavior of the integration, and communication skills to effectively troubleshoot the interface errors that arise. When a proposal is made to change the integration, the CIIP helps coordinate the necessary testing so that all workflow scenarios are captured and the testing is completed according to internal change-control policies. Adventure Health is able to keep up with the ever-changing healthcare landscape and continues to grow because of it. Adventure Health is growing. It recently purchased a smaller imaging practice, and the migration of the legacy PACS data has been a disaster. Without any in-house subject matter experts, Adventure Health has left the migration up to the current and legacy PACS vendors, who seem to be more worried about closing out the project than migrating the data cleanly. Due to a lack of data governance policies, the legacy data is brought into the new system "as is," resulting in numerous duplicate patient records and incomplete study data. Radiologists are now complaining that a large number of addendums are being requested due to the need to compare new studies with the prior studies that have been migrated. They also contend that the hanging protocols within the PACS do not automatically display the migrated prior studies for comparison purposes, so they are forced to manually bring them up. Collectively, the radiologists claim to be spending 1.5 hours per day performing addendums due to a need to compare with migrated prior studies. Another hour per day is spent manually looking for relevant priors and dragging them onto the screen for comparison. Meanwhile, the medical records team estimates that it is spending 2.5 hours per day merging patient records and consolidating reports. Recently, Adventure Health engaged outside legal counsel when a patient filed a lawsuit. The patient claimed that the practice exhibited negligence for failing to compare the most recent study with the prior study that Adventure Health had in its possession during the initial interpretation. Leadership determines that no further acquisitions will be possible until the practice is able to recover from the challenges it is facing as a result of its current migration. Adventure Health has an integration between its EHR and PACS/reporting system, but it is not monitored or optimized. Every day, the staff notices that some orders do not cross over to the PACS/reporting system, and some results do not file back to the EHR. Consequently, providers constantly have to call or e-mail clerical staff to assist them with ensuring that all orders and results arrive at their intended destinations. The staff is becoming accustomed to manually printing, scanning, or faxing imaging orders and results whenever the integration fails to work as desired. The medical records team is now spending 1.5 hours per day correcting issues with orders and results due to existing integration issues. Complaints from referring providers are starting to add up, and operational leadership is beginning to notice a significant decrease in referrals for advanced imaging studies -- a primary revenue source for the practice. Everyone at Adventure Health wonders where it all went wrong. So how much did it cost Adventure Health not to use a CIIP? Has your organization also experienced some of these data integrity challenges? If so, it may be due to a failure to invest in the appropriate imaging informatics expertise. Remember that every day is a new opportunity to change the course that you are on. Projecting the short- and long-term outcomes of your organization's personnel choices can help position it for success. Stay tuned for future articles in this series, which will explore other areas where CIIPs can bring value to imaging practices. Luke Bideaux is the founder of Vega Imaging Informatics, a consulting agency offering managed services and software solutions related to imaging informatics. Luke holds a Bachelor of Science in radiologic technology and certifications in radiography (ARRT) and imaging informatics (ABII). 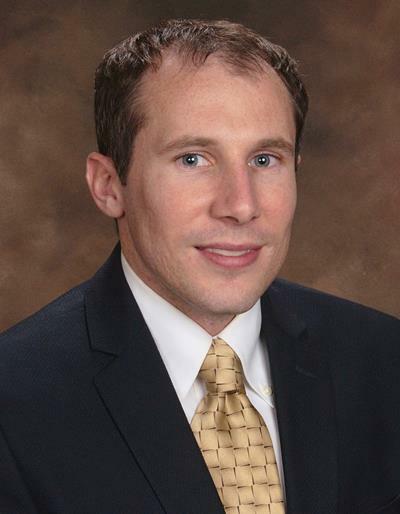 He is an advocate for the advancement of imaging informatics and serves as a member of the CIIP Task Force for the Society of Imaging Informatics in Medicine (SIIM). Luke can be reached at luke@vegainformatics.com.